Chihuahua Blanket Tapestry Throw "Chihuahua Pair" from Anwo.com Animal World® is Chihuahua lover decor gorgeous! 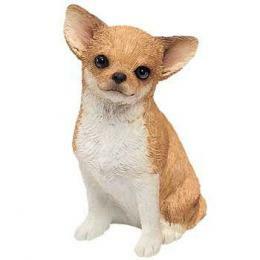 Featuring a Chihuahua long hair and short hair it is made in the USA of 3 ply 100% cotton and measures 70"W x 54"H. Shop our Chihuahua Gifts Store at Anwo.com Animal World® page for additional Chihuahua gift items. I bought this about 7 years ago and it still looks as good as the day I bought it. And I wash it about every other week. It is the most used blanket on my couch, warm and comfy! and my pups like to snuggle in it too...this is well worth the money!!! Great Value!! !